This is a Kickstarter product that has already set records with over four million dollars raised and time still to go on the campaign. Zip up pockets. Would you like a jacket with zip up pockets? The Baubax has them in spades. There is a pocket just the right size for your cell phone. To make sure you can get and make all the phone calls you may need in your travels, there is also a portable charger pocket. If you are traveling internationally, there is a pocket for your passport. Depending on your destination, sunglasses could be a must accessory. 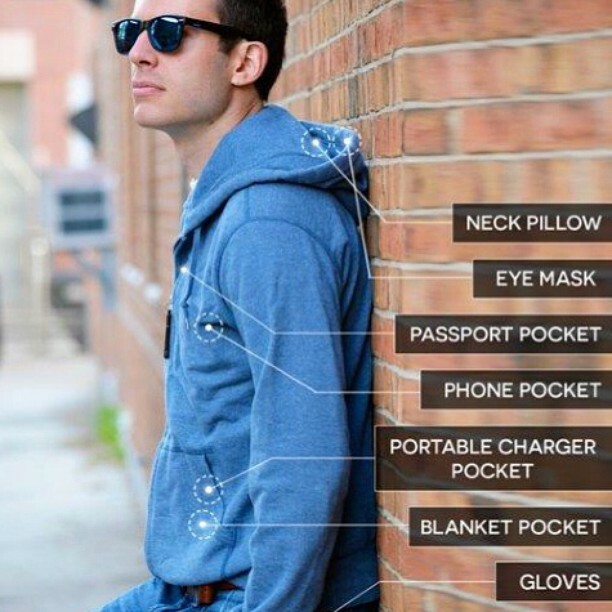 So of course, a pocket for your sunglasses would be a must have option. Music, music, we all need music. Music and the internet. When you are traveling a long or short distance, you will need a ipad or ipod pocket Are you traveling in the cold? Hand warming pockets will be very much appreciated. The Baubax comes in four styles for men and women, the sweatshirt, windbreaker, bomber, and blaze. This could be a revolutionary product, Something we can all use, and may want to have.